With today’s advanced technology, robots are so well designed they could be mistaken for people at first glance. 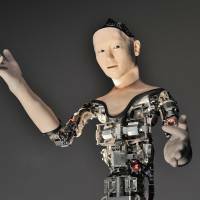 But scientists led by Hiroshi Ishiguro of Osaka University and Takashi Ikegami of the University of Tokyo are working to raise robotics to a new level by developing one that, despite having a very mechanical appearance, moves as if it has a life of its own. The researchers are exhibiting the new robot, called Alter, at the National Museum of Emerging Science and Innovation (Miraikan) in Tokyo until Saturday. At a demonstration last Friday at Miraikan, Alter sported a gender-neutral face and arms covered in silicone skin. The rest of its body was left uncovered, with most of its mechanical parts in plain view. 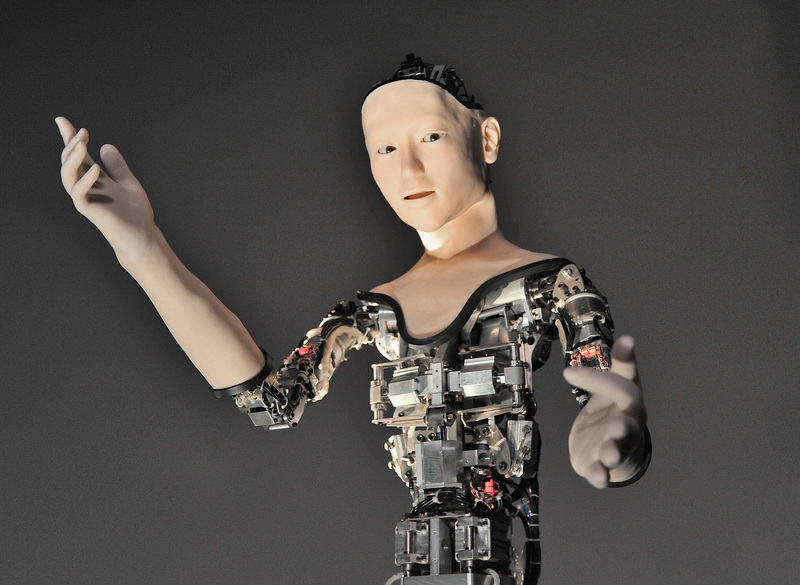 Other robots developed by Ishiguro and showcased at Miraikan include the androids Kodomoroid and Otonaroid, which resemble a real child and adult (kodomo and otona are the Japanese words for child and adult). Both were designed to speak like humans and modeled on actual human forms. But unlike its predecessors, Alter was designed to minimize the appearance aspect and convey life merely by movement, Ishiguro said. “Previous androids were made to look and feel as close to real human beings as possible by copying humans’ appearance and the way they speak,” said Ishiguro, who famously developed an android in his own image. “But even though it has a very mechanical appearance and doesn’t say anything, Alter makes you think as if it were living,” he said. At the demonstration, Alter smoothly moved its body and arms as if it had a will of its own. It is connected to several sensors to monitor its surroundings, including distance from observers and the room brightness, so it can alter its movement patterns as if recognizing the environment. When a group of reporters entered a dark exhibition room where tranquil ambient music was playing, Alter started to swing its arms and body to and fro, as if it were pleased to see so many people. Occasionally, it would lean its body toward them and move its mouth, as if trying to say something. “With this robot, I want to show that an android does not have to be in the shape of human beings to make something look human,” Ishiguro said. The researchers will gauge visitors’ reactions to make Alter’s movements more like a living organism. They will hold a panel discussion Saturday to discuss their findings from the exhibition. Although Alter isn’t providing immediate benefits to humanity, Ishiguro said it will help researchers get closer to answering a philosophical question: How do people distinguish the inanimate from the animate? “Even if an object is not composed of proteins like a human body, people may still be able to perceive it as a human being,” he said, adding that technology can be applied to make androids more affable. 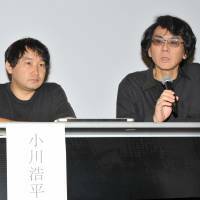 The University of Tokyo professor, Ikegami, who has made art for more than 15 years to express artificial life, agrees. “I believe life resides within the movement of an object, not within substances that constitute it,” he said. 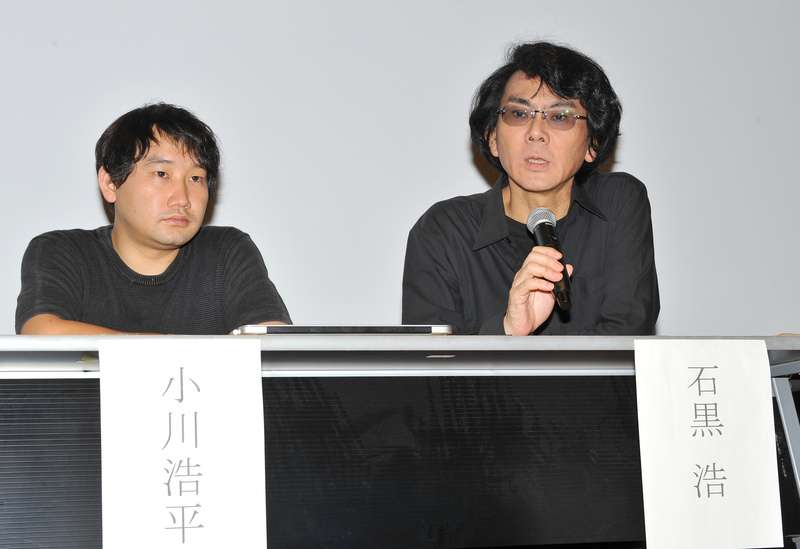 Ogawa noted that it is extremely difficult to have a conversation with an android for 10 minutes.